This was the same night that the Steam Clock was taken. 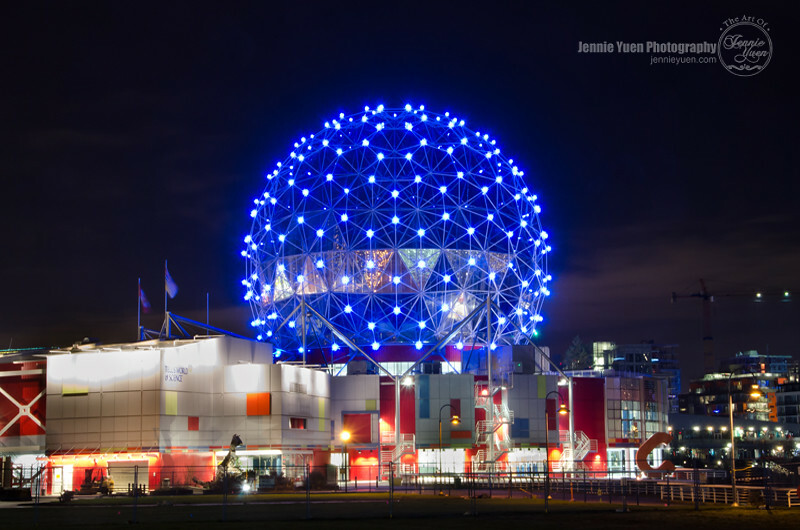 The Science World location around False Creek was the last stop for night photography before heading back home. 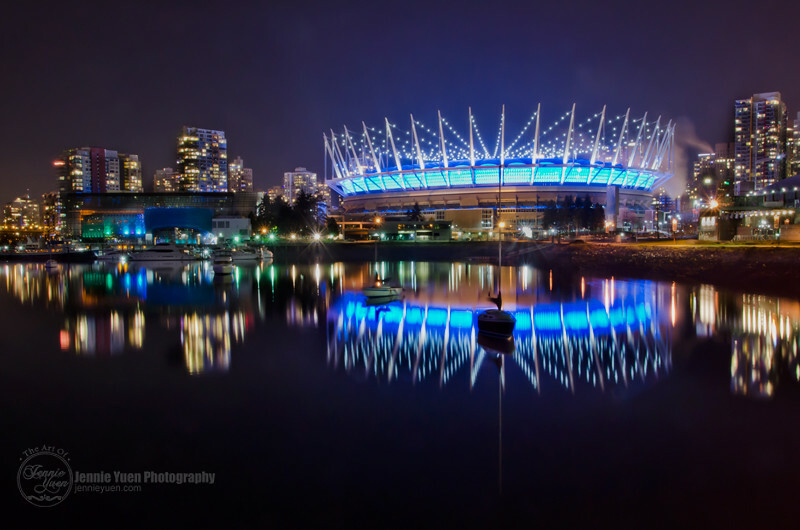 BC Place Stadium and Science World was close to each other so I was able to get photographs of both buildings separately at the same spot. If only I had wide angle lens, I might be able to capture both on one image (or go over to the other side, but it was quite a walk in the cold for our little one). 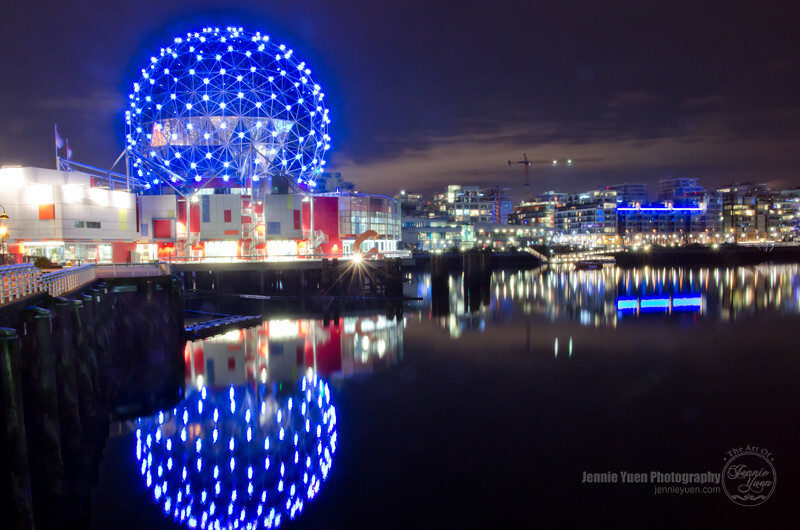 The colors of lights on the buildings vary depending on the day and event. 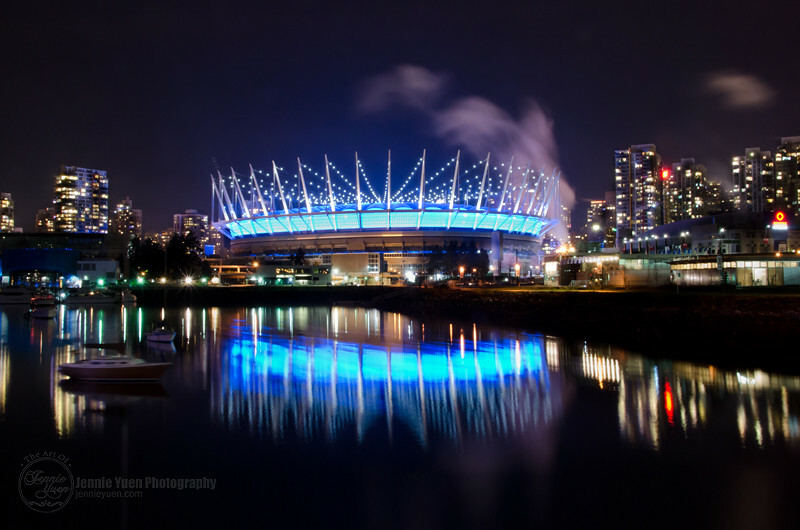 With the previous night photography of BC Place I took last year (also the same time of year in the winter), it was red. This time, it was blue. I have yet to capture one with multi-color.